Buying a home is certainly one of the biggest financial decisions one can make and can’t afford to make a mistake on. Unfortunately, many home buyers are not aware that buying a home isn’t as easy as having the money to close a deal. Sometimes agreements are broken, the home isn’t as what was said it was, and a lot of other issues can come up, making it more important to avoid self-sabotage by refraining from committing these mistakes we’re sharing when buying a home. Located on a family friendly street this new, never lived 4-bedroom, 4-bathroom home with double car garage in Fernbrook's Seven Oaks community features 3,031 sqft above grade plus an unfinished lower level waiting to be customized to suit your family's unique lifestyle. Great open-concept floor plan, 10-foot smooth ceilings on main level, 9-foot ceilings on second level and up to 9-foot ceilings in lower level. Oak hardwood flooring throughout and oak staircase with iron spindles. The great room features a fabulous cast stone gas fireplace and a full wall of large windows across the back of the home which floods the interior with sunshine. Open floor plan homes are very popular these days but not everyone is into flowing rooms or a fan of open layouts. If you find yourself gravitating towards buying a beautiful open layout condo or buying a home with an open floor plan but would love to have options for creating separate ‘rooms’ within, then keep reading because we have some easy ways to achieve that for your space! 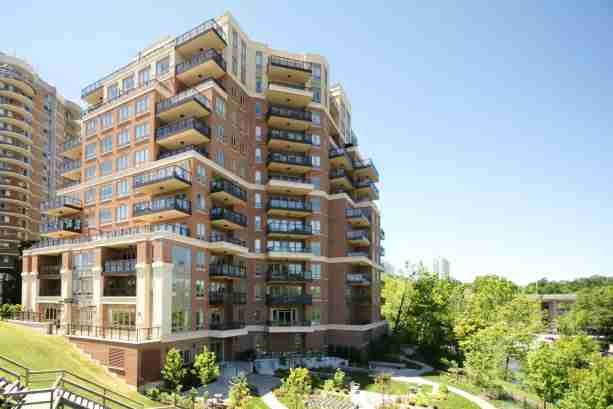 One of only 6 top floor penthouses in the highly coveted downtown Oakville condominium at 111 Forsythe. This unit is also the only south west facing unit. This exposure offers views from the balcony of the downtown core, the boats in the harbour, and vast vistas of Lake Ontario. The west exposed windows also offer all day light exposure, which is ideal in a condo setting. July 2018 stats are in and show strong growth in the number of home sales and average sale price in the Greater Toronto Area. If you want to learn more about your specific neighbourhood check out the Neighbourhoods tab on our website. Newly built, never lived in, Fernbrook Chatsworth model executive 3-bedroom, 3-bathroom freehold town home end unit is located in Oakville’s desirable Preserve community. This home offers 2,458 sq ft of finely finished living space above grade plus an unfinished lower level waiting to be customized to suit your family’s unique lifestyle and includes the reassurance of a full Tarion warranty. The home features an attractive stone and stucco front elevation, smooth 9 foot ceilings, oak hardwood flooring and upgraded millwork throughout. NEVER LIVED IN! Beautiful 4-bedroom 4-bath home with double car garage in Fernbrook's Seven Oaks community features 2,957 sqft above grade plus an unfinished lower level waiting to be customized to suit your family's unique lifestyle. Great open-concept floor plan, 10-foot smooth ceilings on main level, 9-foot ceilings on second level and up to 9-foot ceilings in lower level. Oak hardwood flooring throughout and Oak staircase with iron spindles. The generous sized dining room opens to the great room featuring a fabulous cast stone gas fireplace and a full wall of large windows across the back of the home which flood the home with sunshine. Planning a luxury kitchen isn’t just about buying the most expensive marble, granite, appliances, and décor, it is about achieving a harmony of class, elegance, function, and ‘expensive’ taste. Below are our best tips on how to plan a luxury kitchen while maximising the power of your dollar.